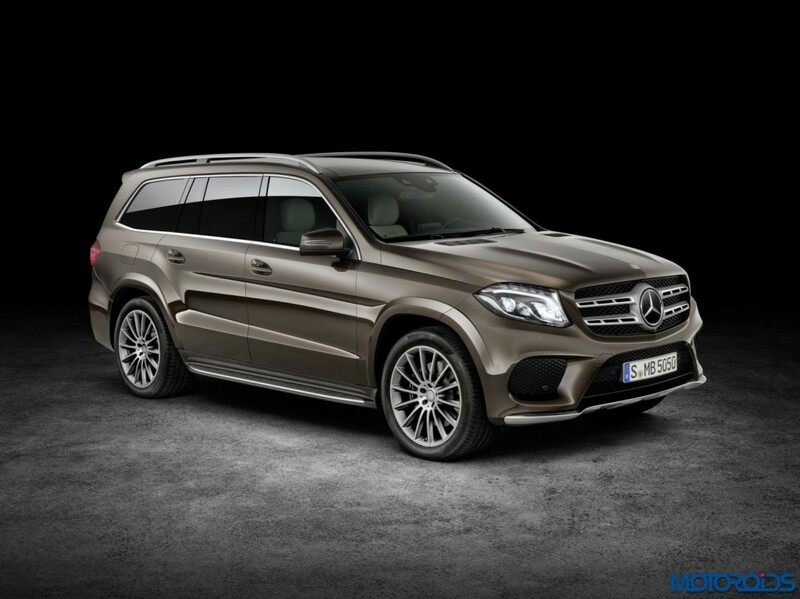 The Mercedes-Benz GLS will launch in India on May 18. Officially referred to as the ‘S-Class of SUVs’, the new Mercedes-Benz GLS builds on the erstwhile GL. Making its official debut at the LA Auto Show, the GLS, over the GL, features stylistic changes on the outside, feature additions to the cabin, along with introduction of new engine and transmission systems. The new GLS stands at 202 inches long, 80.9 inches wide and 72.8 inches tall with a wheelbase of 121 inches. 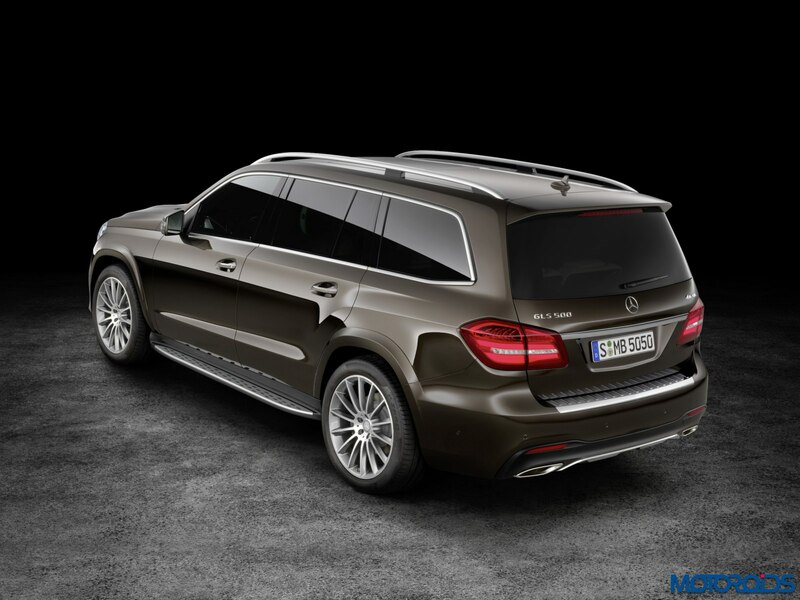 As compared to the GL, changes to the exteriors include a revised fascia that puts it closer to Mercedes’ latest family appearance, while chrome details such as the roof rails, under-guard, shoulder line trim strips, luggage compartment handle and side skirt trim create the highlights. In addition to the regular trim, the Sport exterior, available on the GLS550, features unique front and rear aprons, side running boards, side flaps painted in the vehicle color and 21-inch AMG light-alloy wheels. The engines across the GL-range have been tweaked for better performance and efficiency on the GLS. There’s the powerful GLS500 4MATIC with V8 biturbo petrol engine with 455 hp, some 20 hp more than the preceding model, and peak torque of 700 Nm. The GLS450 4MATIC with the 3.0-liter V6 biturbo petrol engine, gets 362 hp and 500 Nm of torque. The diesel range starts with the GLS350d 4MATIC, the most likely candidate for India, with its 3.0-liter V6 diesel producing 255 hp of power and 616 Nm of torque. All the non-AMG engines are mated to the nine-speed 9G-TRONIC automatic transmission as standard, optionally in combination with low-range gearbox and center differential lock. As for the version that comes with Affalterbach’s tocuh, the Mercedes-AMG GLS63 now gets 577 hp, over 27 horsepower more than its predecessor, and peak torque of 760 Nm at a low 1,750 rpm. 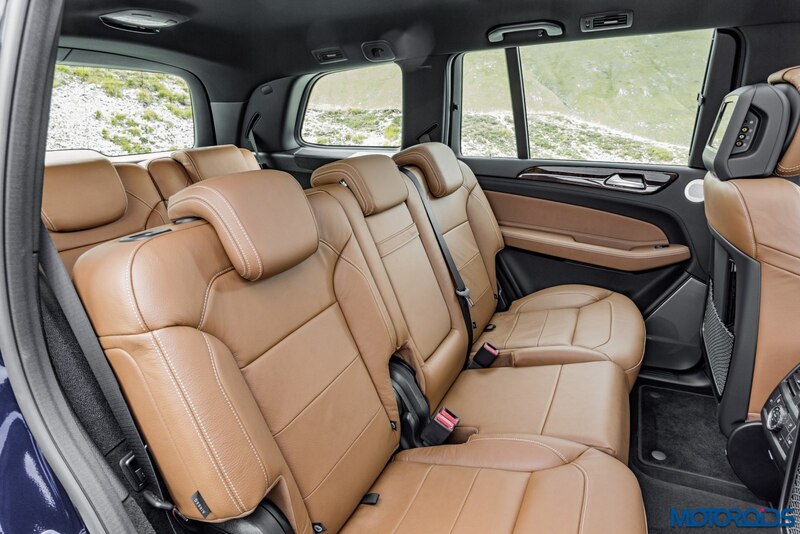 Claiming ‘full-comfort’ for seven passengers inside, the new GLS’s interiors feature leather and wood upholstery, a new 3-spoke multifunction steering wheel in nappa leather, along with a newly designed instrument panel with color Media Display. Options available for the new GLS also include an air ionization system for even better interior air quality. Customizations on the inside can be made in the form of wood/leather multifunction steering wheel or ambient lighting featuring three color shades. There is also a wide range of trim elements available for the instrument panel and door panels. The interior also gets the optional latest generation of COMAND Online, including an 8-inch color Media Display as well as an intuitive touchpad. The GLS gets the regular bevy of the impeccable Mercedes-Benz safety and security systems. Standard driver assistance systems include COLLISION PREVENTION ASSIST PLUS, Crosswind Assist and ATTENTION ASSIST. Other systems available as standard on the GLS include: PRE-SAFE system, Brake Assist BAS, electronic all-wheel drive traction system 4ETS, ESP, and cruise control. Night-time vision is improved by the optionally available LED Intelligent Light System, new to the GLS. The car also gets the MAGIC VISION CONTROL, the heated adaptive windscreen wiper system which provides optimum water distribution. With DYNAMIC SELECT, the new GLS provides up to six transmission modes. In addition to the settings COMFORT, SLIPPERY and SPORT, with the DYNAMIC SELECT Controller in the center console, the driver can additionally choose INDIVIDUAL or an OFF-ROAD mode. If the GLS model is equipped with the optional Off-Road Engineering package, OFF-ROAD+ mode is also available. AIRMATIC air suspension can attain a ground clearance of up to 12.5 inches (306 mm) and a fording depth of up to 23.6 inches (600 mm).